Westborough, Mass. 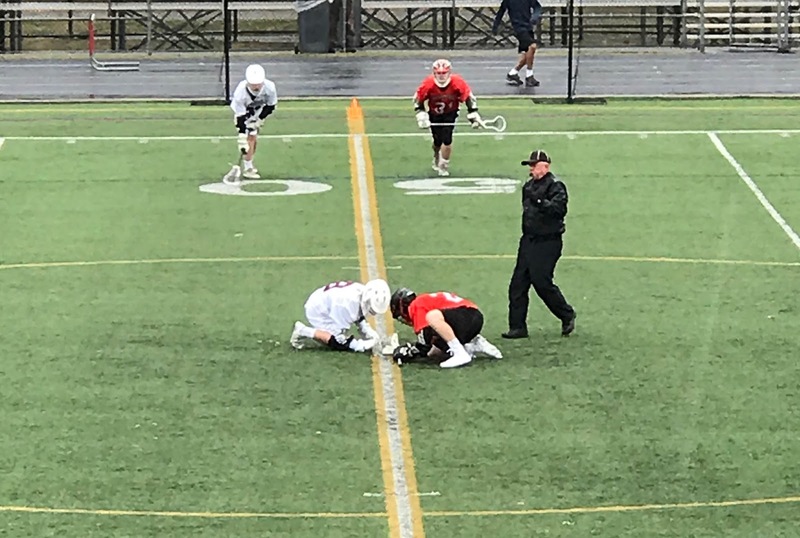 - It was a cold and rainy season opener for both the Westborough Rangers and the Marlborough Panthers, as they faced off in a back-and-forth matchup. It was visiting Marlborough who prevailed in the end, however, overcoming a slow start to win 9-8, led by senior Evan Doherty's 5 goals. The first quarter was dominated by Westborough, as the Rangers scored 3 goals to take an early lead. There could have been more for Westborough in the opening period, but Marlborough’s senior goalie Alex Buchan made 4 big early saves, en route to nine on the day for the Panthers. 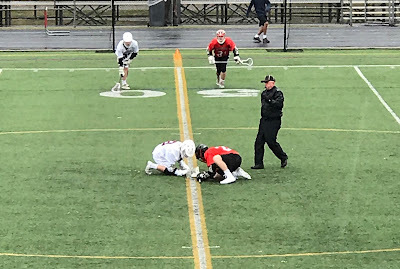 Early in the second quarter, it was much of the same, as Westborough’s Brendan Gately scored his second and third of the game to give his team a 5-1 lead. However, the Panthers came storming back, as Doherty scored a hat trick in the second quarter alone to put his team within one at half. The third quarter was a back-and-forth affair, as junior Dom Carter scored for Marlborough, followed by a goal from Westborough’s Declan Gardner. Then it was Doherty again, who scored his fourth and fifth of the game to give the Panthers an 8-7 lead going into the fourth quarter. The final quarter was a defensive battle, as Andrew Arnold made a couple of big saves for the Rangers to keep his team in the game. The goalie finished the game with five stops total. It was then Carter with his third goal of the game, which gave Marlborough a 9-7 lead with 7 minutes to go. With 1:20 left, it was Gardner again who scored to put Westborough within one. The Rangers had a couple of great looks in the final minute, but they could not capitalize. Marlborough will look for another win on Thursday at Oakmont, while Westborough will look to bounce back on Thursday when they play Medway at home.